Famous for: Her adorable look and high end fashion sense. She loves the limelight and wants all of the attention on her. Enjoys: Being the cutest dog around, cuddling with her big brother Winston, and anything pink. She can’t deny a tasty treat, and loves long walks with her dad. Maya was born in North Carolina, but soon after moved in with her parents in the suburbs of Northern Virginia, where she’s lived ever since. She has a big “brother” named Winston, a short haired brown and tan dachshund. She is stubborn and sassy, but still manages to win everyone over with her cuteness. Maya stands out from the crowd because of her impeccable fashion sense. 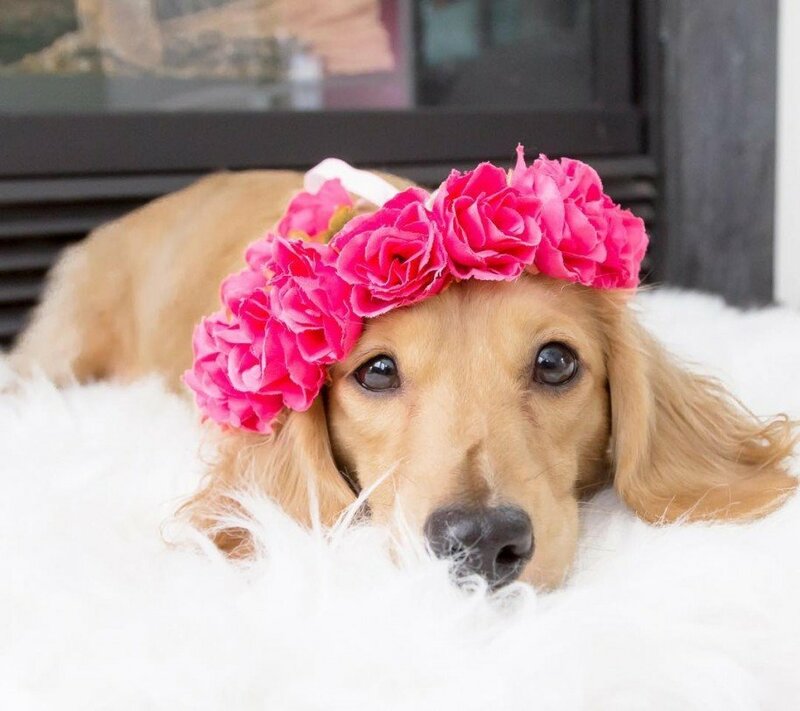 She's always wearing the latest designer collars, bows, and flower crowns. This doxie is happiest when all the attention is on her. She is definitely a daddy's girl. You can learn more about this blondie at mayathedox.com.